The World Series of Poker is traditionally most famous for its showpiece finale, the No Limit Hold'em Championship Event. This single tournament will, in 2006, be staged over a gargantuan 14 days from 28th July to 10th August. While this annual heavyweight poker contest will capture hours of airwaves, consume countless man-hours of America's industrial productivity, and shatter thousands of cherished dreams, there is a brand new tournament lined up in 2006 as a warm up to the Championship Event, and it promises to offer spectacularly good poker. In many ways it will offer in pure quality what the Championship gives away in quantity! The new event commands a whopping $50,000 buy-in price and it is called, simply, H.O.R.S.E. H.O.R.S.E. is played by many of the most talented all-rounders in poker because it requires a working knowledge of most of the major poker variations, Texas (H)old'em, (O)maha, (R)azz, 7-card (S)tud and Stud (E)ight or Better. "The addition of the high buy-in contest - a combination of no-limit hold'em, Omaha, Razz, Stud and Stud eight or better - marks the first time the World Series of Poker will offer an event with a buy-in of more than $10,000. "We've heard from a number of players that a high buy-in event will enhance the World Series of Poker." There is little doubt that a large number of the pre-eminent poker players in the world will be gunning for this one because it will truly confer on the winner the title of best all-round player. For players who have made more than they need (in money terms) to live comfortably, the kudos that would come with a title such as this earned at the greatest jamboree in poker will be highly sought after. 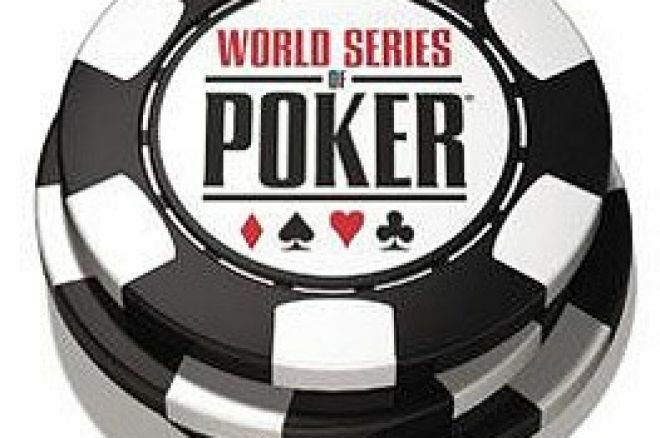 The whole WSOP carnival gets going on 25th June 2006, with satellites and cash action followed by a casino employees' tournament on the following day. The real action commences on the 27th with the $1,500 No Limit Hold'em tournament. For the following seven weeks, it is a non-stop poker extravaganza at the Rio, Las Vegas. WSOP 2006 Main Event - No Limit Hold 'Em - 28th July - 10th August. Package value: $14,500. This includes the buy-in, 15 nights' accommodation, travel and $500 spending money. WSOP 2006 Ladies' No Limit Hold 'Em (Event 15) - 9th -10th July. Package value: $3,800. This includes the buy-in, 5 nights' accommodation, travel and $500 spending money. WSOP 2006 Short Handed No Limit Hold 'Em (Event 21) - 13th July. Package value: $5,400. This includes the buy-in, 5 nights' accommodation, travel and $500 spending money. WSOP 2006 Omaha High/Low Split (Event 24) - 15th July. Package value: $5,900. This includes the buy-in, 5 nights' accommodation, travel and $500 spending money. WSOP 2006 7-Card Stud (Event 28) - 19th July. Package value: $7,936. This includes the buy-in, 5 nights' accommodation, travel and $500 spending money. WSOP 2006 Limit Hold 'Em (Event 36) - 24th July. Package value: $4,300. This includes the buy-in, 5 nights' accommodation, travel and $500 spending money. So, whether you are a well-to-do, successful poker player who fancies a rodeo ride on the H.O.R.S.E. or simply an on-line ace dreaming of glory, riches or just a good holiday with poker thrown in, the WSOP is the one to aim for. Ed note: Get your profits to gallop ahead at Bet365 Poker with the help of a $50 bonus.